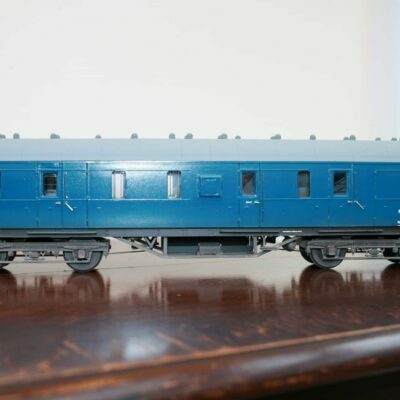 This “O” gauge LMS 8T. 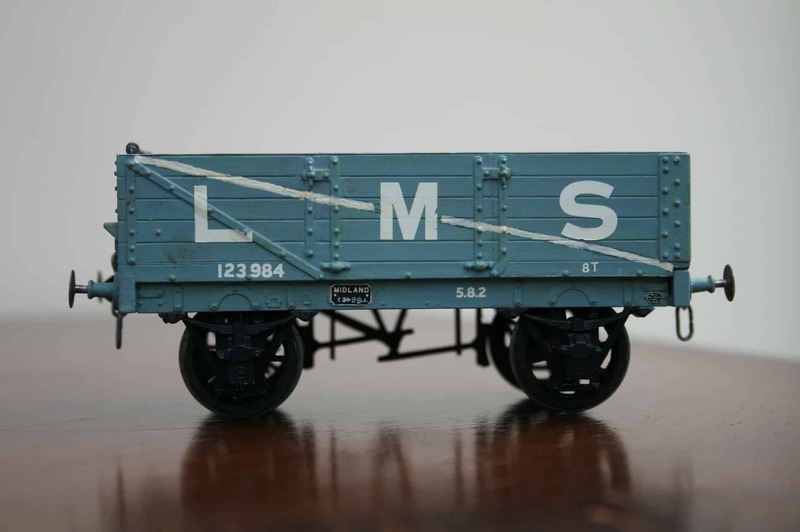 5-plank open wagon with hinged opening door at one end running number 123984 in grey livery is built & painted from a kit (thought to be Slater’s). The wagon is in very good running order with metal-tyred spoked wheelsets. The wagon is in good condition with sprung buffers and 3-link couplings. The inside of the open wagon is weathered.